But is it going to be effective enough Use of genetically modified constituents for processed food will soon have to be mentioned on labels. 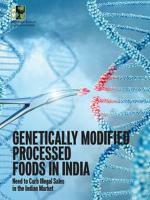 A gazette notification from the Ministry of Consumer Affairsmakes it mandatory for packaged foods using genetically modified products as ingredients to carry such labels from January 1, 2013. The notification was out on June 5, 2012. I suspect Indian scientists have retired hurt to the pavilion. They were exposed to nasty public scrutiny on a deal made by a premier science research establishment, Indian Space Research Organisation (ISRO), with Devas, a private company, on the allocation of spectrum. The public’s verdict was that the arrangement was a scandal; public resources had been given away for a song. The government, already scam-bruised, hastily scrapped the contract. Since then there has been dead silence among the powerful scientific leaders of the country, with one exception. Kiran Karnik, a former employee of ISRO and board member of Devas, spoke out. He explained it is wrong to equate this deal with the scam of mobile telephony, where it was alleged that the minister fiddled with procedures to hand out spectrum at throwaway prices. The reason is that this band of spectrum called S-band, reserved for use in satellites, is different from terrestrial spectrum used by mobile operators. In the S-band the users are different, risks are higher and the customer base is smaller. Hence, the cost calculations done for terrestrial spectrum cannot be used to estimate the loss to the exchequer in the ISRO-Devas contract. By: Sunita Narain I suspect Indian scientists have retired hurt to the pavilion. They were exposed to nasty public scrutiny on a deal made by a premier science research establishment, Indian Space Research Organisation (ISRO), with Devas, a private company, on the allocation of spectrum. The public’s verdict was that the arrangement was a scandal; public resources had been given away for a song. 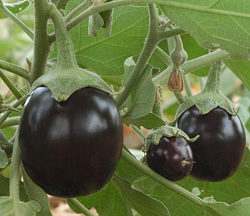 The minister for environment and forests has announced his decision on Bt-brinjal – whether the world’s first genetically modified vegetable should be given permission to be grown and eaten in the country. And before I discuss the issues further, let me also make my own bias clear. I am not an anti-GM-person. In other words, I have no ideological problems with the use of genetically modified technology to improve crop yields. But I am anti-Bt-brinjal and believe the minister is right in not giving clearance. 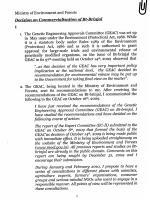 Anti-GM groups say expert panel acted under pressure by Savvy Soumya Misra A coalition of organizations opposed to genetically modified food in India has written to the minister of state for environment and forests seeking withdrawal of clearance given to Bt brinjal. The Coalition for GM-free India alleged the expert committee that cleared the genetically modified brinjal for commercial cultivation in the country was neither impartial nor thorough.